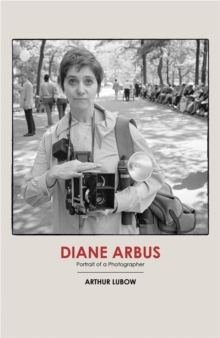 Diane Arbus was one of the greatest photographers of the last century. Her portraiture of freaks, circus performers, twins, nudists and others on the social margins connected with a wide public at a deep psychological level. Her suicide in New York in 1971 overshadowed the reception to her work. Her posthumous exhibition at the Museum of Modern Art a year later drew lines around the block. She was born into a Russian-Jewish family, the Nemerovs, who owned a department store on Fifth Avenue. They were family friends with the Avedons. Richard Avedon later championed Arbus's work. Avedon rose to greater and greater commercial success through the magazine world. Arbus died in a rent-protected apartment scrambling to earn her keep with odd teaching assignments. Lubow's biography begins at the moment Arbus quit the world of commercial photography to be an artist. She was uncompromising in that ambition. The book ends with her death. The entire narrative is a slow march towards that event.